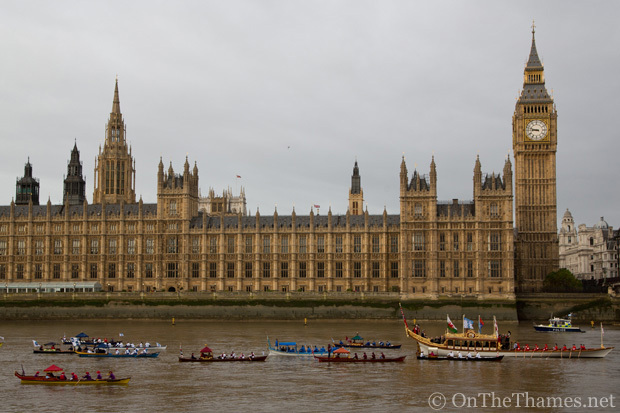 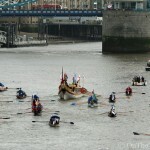 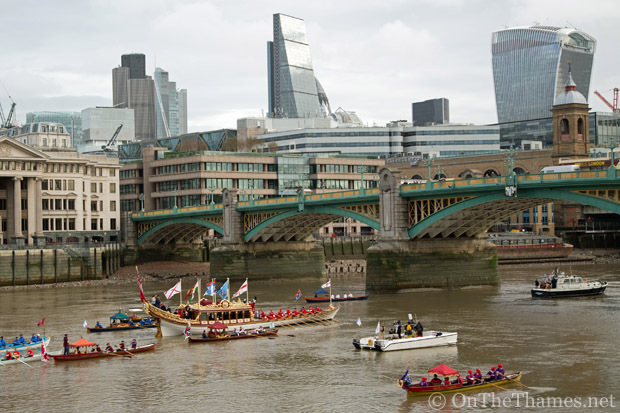 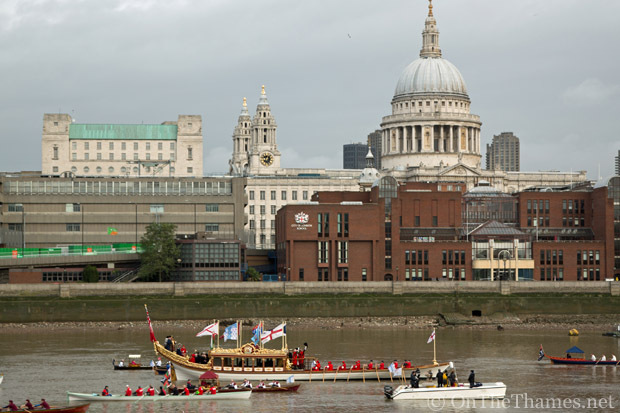 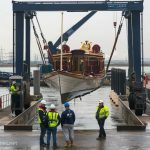 THE TRADITIONAL Thames Rowing Association has raised the prospect of the Queen's row barge Gloriana not appearing at this year's Lord Mayor's Day Thames procession. 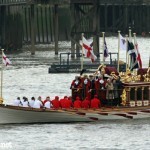 Privately commissioned in time for the Queen's Diamond Jubilee Pageant in 2012, Gloriana has since become a popular sight at regattas and events on the river and helped revive an ancient tradition of carrying the new Lord Mayor of London down the Thames on the day of the Lord Mayor's show which takes place in November. 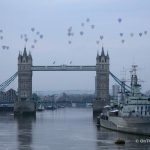 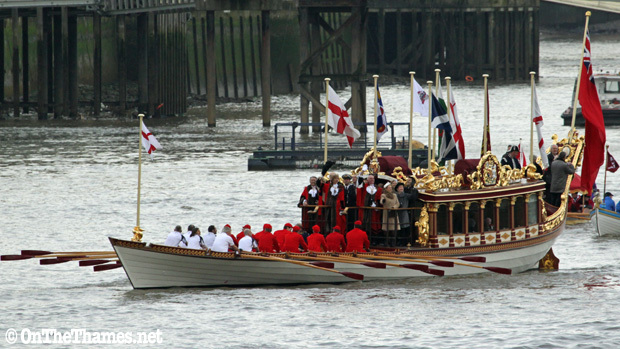 But the cost to the TTRA of using Gloriana in the flotilla of craft on Lord Mayor's Day rose from £1,200 in 2013 to £5,000 in 2014 - a cost that, if repeated, could see Gloriana no longer appear. 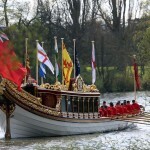 If Lord Sterling [Gloriana's owner] seeks a similar payment this year (and I have no reason to think that he will not do so), then either the use of Gloriana will have to be dropped or a philanthropic funder will have to be found or subscriptions will have to be raised or there will have to be a much heftier entry fee for the LMS (or some combination of the last three options). 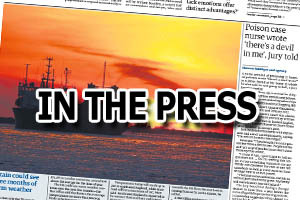 Read the full minutes of the TTRA's Annual General Meeting. 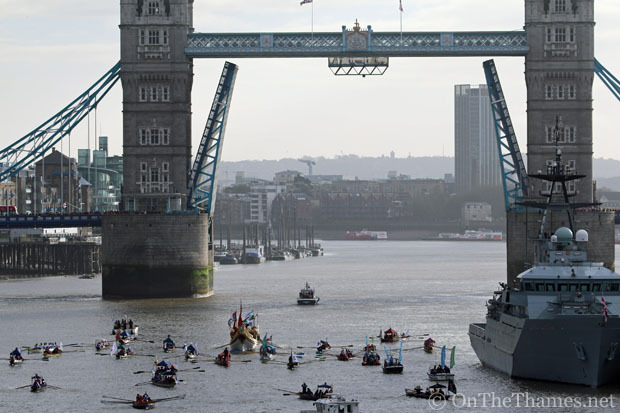 The minutes of the AGM record that Mansion House, the official office and residence of the Lord Mayor, made a £1,000 contribution to the costs in 2014. 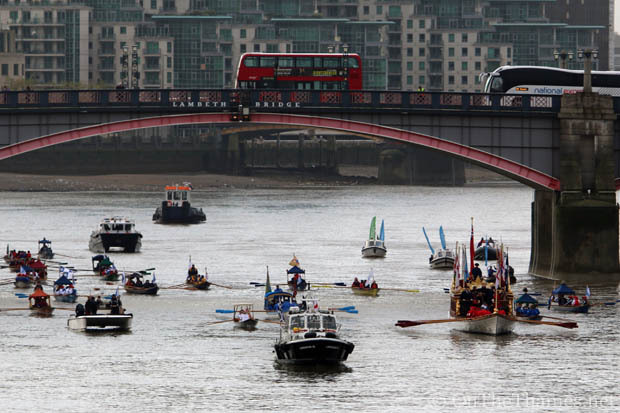 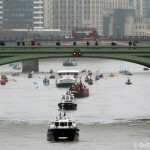 Unfortunately the colourful spectacle of the procession down the Thames is not included by the BBC in its coverage of the Lord Mayor's Show.